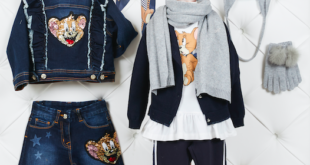 The girls' collection will then launch across 750 multi-brand and 41 Monnalisa boutiques from July this year. “I’m confident Boomerang will soon be one of the best-loved channels for kids and families in Malaysia," said Phil Nelson, Turner International’s senior vice president. Boomerang to be relaunched as a 'global all-animation, youth-targeted network'. Puma will be paired with the likes of Tom and Jerry and Superman for apparel, accessories and footwear. The new deal will see the characters engage in both ticketed and non-ticketed events in theatres, shopping malls, stadiums and arenas. Looney Tunes, Tom and Jerry and Scooby-Doo fans will soon have a chance to own their very own personalised email address.